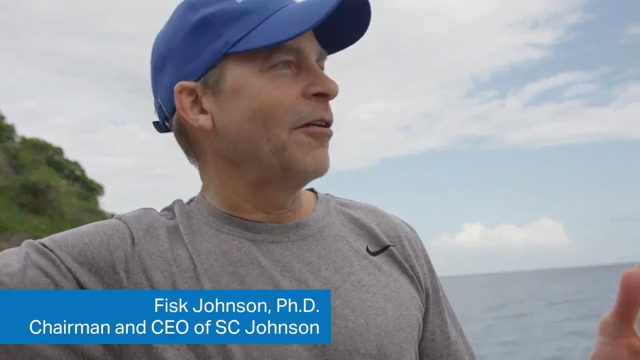 SC Johnson Chairman and CEO Fisk Johnson calls for the increased use of renewable energy. 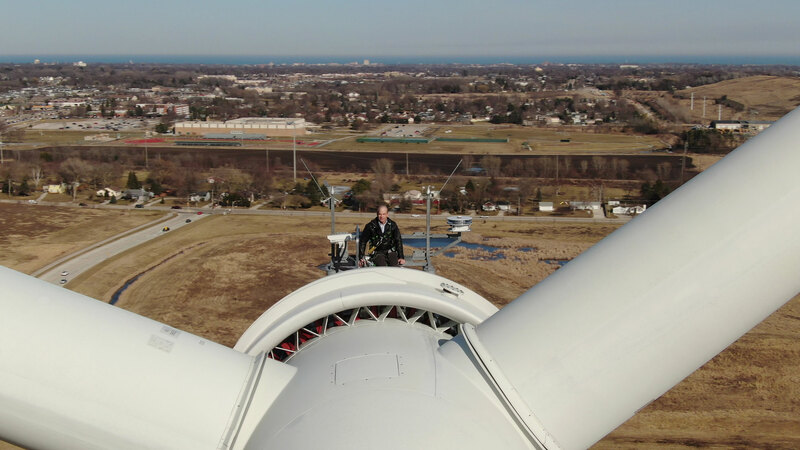 Fisk Johnson stands atop a 415-foot wind turbine at SC Johnson’s largest factory. 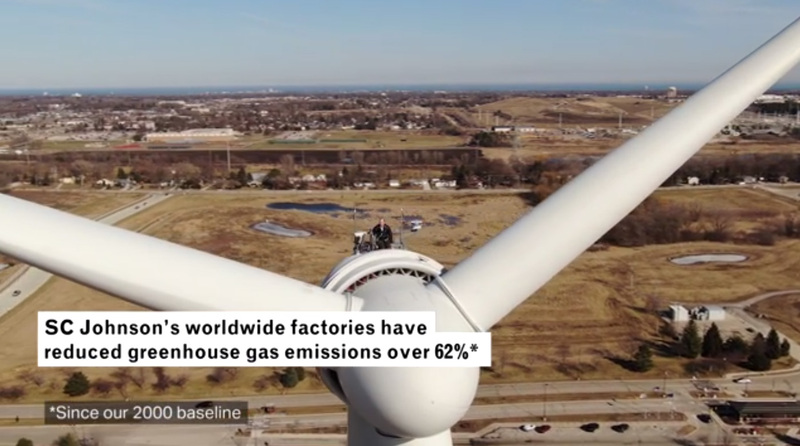 SC Johnson uses renewable energy at its sites around the world. 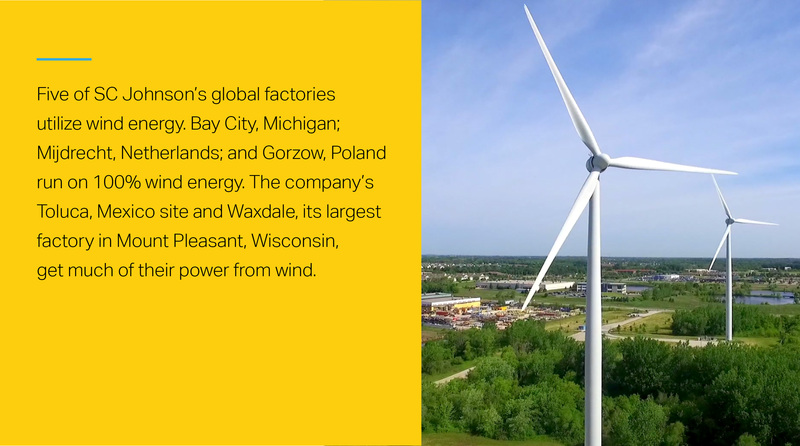 SC Johnson uses innovative technologies to drive efficiency and minimize its footprint. 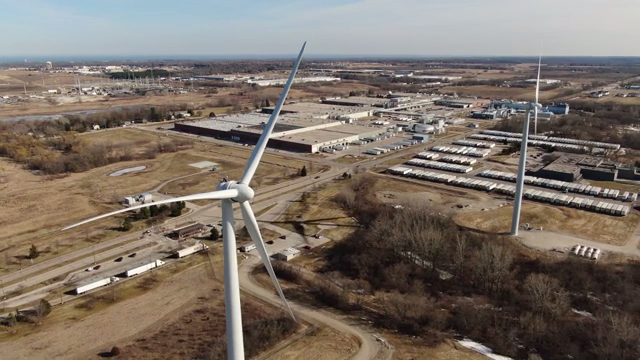 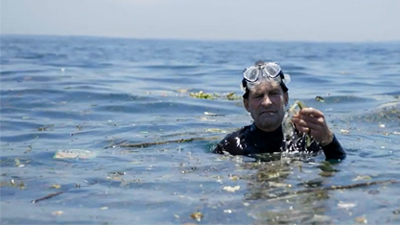 SC Johnson uses renewable energy sources, including wind power, as part of its commitment to environmental responsibility. 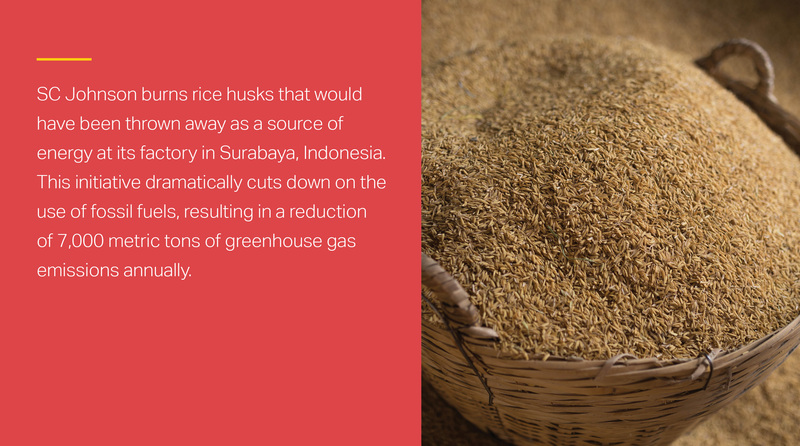 At SC Johnson’s factory in Surabaya, Indonesia, husks from rice grains are burned as a source of energy. 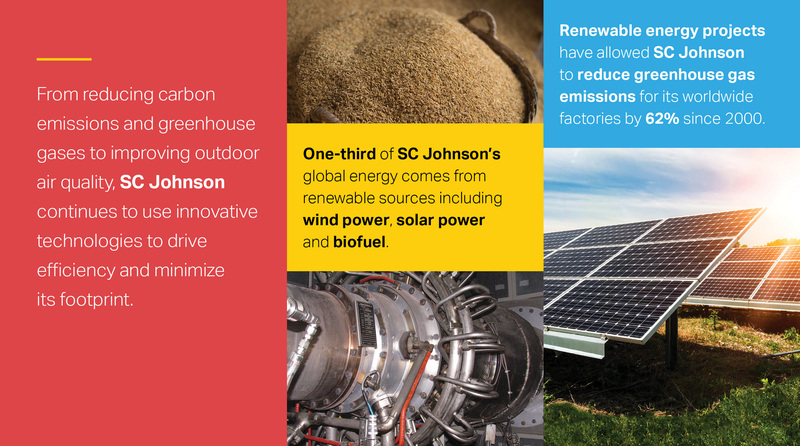 SC Johnson’s largest factory generates 85% of its energy from cleaner-burning natural gas. 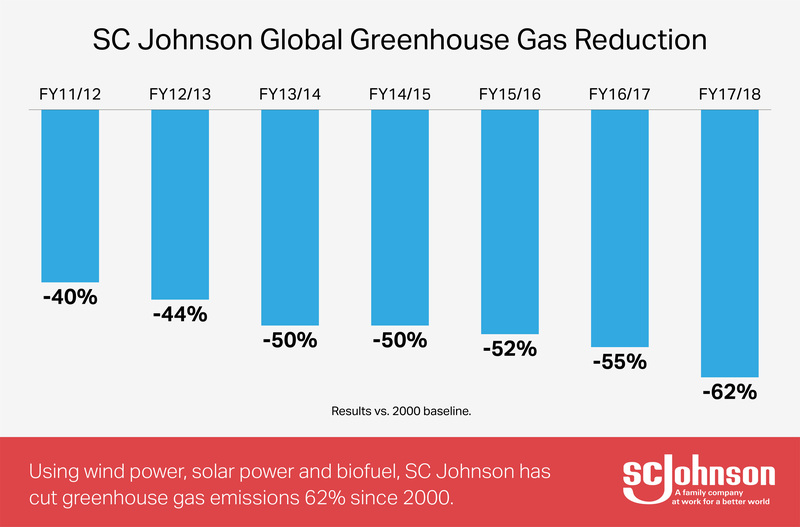 In 2017/18, SC Johnson achieved a 62% reduction in greenhouse gas emissions vs 2000 baseline. 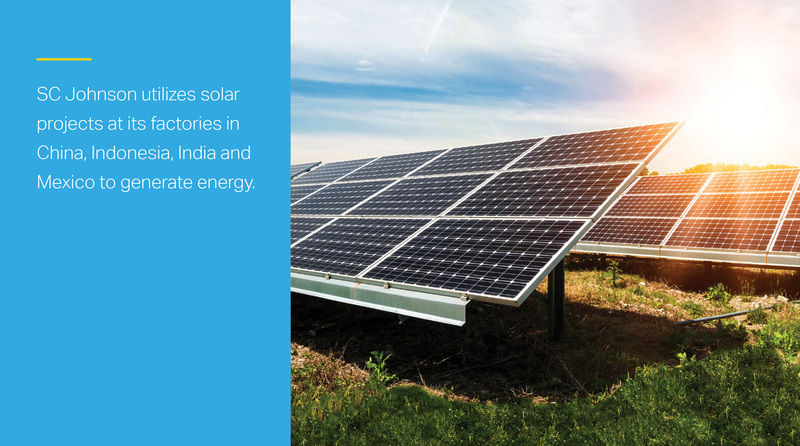 SC Johnson factories in four countries have solar projects.